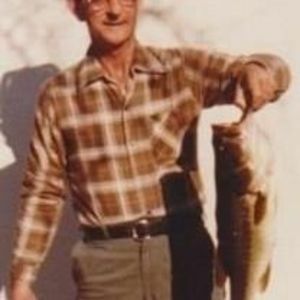 Thurman "Tom" Prince was born September 14, 1923 to Charlie and Geneva Prince in Varina, NC. Tom was a kind and gentle man who never met a stranger. He loved to fish and spend time outside. Tom was a friendly man who loved to joke around and always had a smile that matched his personality. He especially enjoyed his time spent with his friends at McDonalds in Cary for breakfast. He was a caring and loving husband to his wife Eloise Prince for 57 years of marriage; she predeceased him in 1998. Tom is also predeceased by grandson, Anthony Prince; granddaughter, Karen Prince; brothers, Allen, Douglas, Albert, and Cecil; and sisters, Alvenia and Josephine. He is survived by sons, Curtis Ray Prince Jr. and wife Buneé, Aldric "Rick" Prince and wife Joyce "Jo". Jo always loved, treated, and cared for Dad as if he were her own dad for which we are forever grateful. Also surviving are grandson, Curtis "Curt" Prince Jr.; granddaughter , Lanette Stallings; great-granddaughter, Kristy Maynard; great-grandson, Michael Prince; sisters, Blanche Morris, Ruby Bingham, Lillie Smith; as well as lots of nieces and nephews. The family will receive family and friends Saturday, October 14, 2017 at 3:00 pm with the service to follow at 4:00 pm at Apex Funeral Home. Burial will follow at Greenlawn Memorial Gardens in Fuquay-Varina, NC. In lieu of flowers and food, please make a donation to Alzheimer's Association of Eastern NC at www.alz.org or call 1-800-272-3900 to help find a cure for this horrible disease.